Corruption cases in China have risen 24%. Reports of corrupt officials seem to be in the vicinity of “many” and as such, the news is getting old locally. At the center of China’s biggest corruption scandal in more than six decades is that country’s Public Security Minister, Zhou Yongkang. Chinese authorities have seized assets worth at least $14.5 billion from family members and associates of this retired domestic security chief. The sheer size of asset seizures and scale of the investigation make this corruption probe unprecedented in modern China. But he’s not the only one who’s playing the “do it big or go home” game. Take the case of Wei Pengyuan, deputy director of the coal division of the National Energy Administration. He was found with 100 million renminbi (official currency of the People’s Republic of China). This equals $16 million. Now where do I hide my cash…? Here’s the fun part. 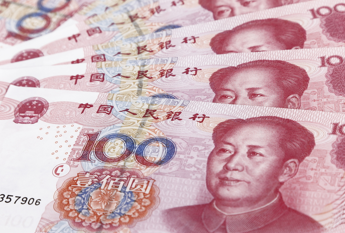 The 100-renminbi note is the largest-denomination bill in circulation. So that means that Wei’s alleged stash presented a bit of a storage problem. Such a hoard, if stacked in one tall tower, would reach 328 feet high. Laid out end to end, the haul would stretch 96 miles. Investigators had to bring in 16 cash-counting machines to tally the money, and four of the devices, which can process 1,000 bills per minute, burned out in the process. People are getting creative with stashing their large piles of money. In recent years, Chinese media have reported on a provincial party secretary found with 25 million renminbi in safe deposit boxes; a former provincial construction chief who hid 20 million renminbi in a hollow tree trunk, a toilet and a rice field; and an ex-highway bureau boss who kept 2.8 million renminbi in a trash dump. How Wei kept his cash hasn’t been disclosed, but if he put his stash into suitcases, he’d need 32. China’s President, Xi Jinping, has vowed to crack down on graft both at high levels, and at the grass-roots, but the cases just keep rolling in at a mind-numbing pace. In the first three months of 2014, prosecutors investigated 8,222 cases; that’s up 24% compared with the same period last year. In these cases, more than 10,800 officials were involved, up almost 20%, and “major cases” made up 82% of the total numbering 6,759. Among the officials investigated, 57 are above the bureau level. Corrupt officials who hoard cash, however, may be doing ordinary folks at least one favor: By taking so many bills out of circulation, even as China’s money supply has expanded greatly in the last decade, they seem to be holding down inflation, reports have said. Corruption has no location preference. Although these cases represent significantly high levels of corruption in terms of monetary value, all it takes is the human element to initiate any type of corruption, in any organization, anywhere in the world. And this just shows how important whistleblower hotline services can be to shine the light on corrupt and unethical dealings within an organization. Giving employees the tools they need to anonymously report on any wrongdoing they see, from the ground up, can end up saving an organization a lot of money in the long run. Whistleblower Security is committed to promoting a culture of integrity, collaboration and transparency for our employees and clients. With a 24/7 whistleblower hotline, employees can be assured that all of their ethical concerns will be heard and addressed.